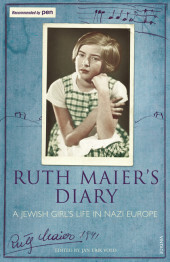 Ruth Maier's Diary is one of the most moving testimonies to emerge from this dark period of European historyRuth Maier was born into a middle-class Jewish family in interwar Vienna. Following the Anschluss of Austria in March 1938, her world collapsed. In early 1939, her sister having left for England, Ruth emigrated to Norway and lived with a family in Lillestrøm, near Oslo. Although she loved many things about her new country and its people, Ruth became increasingly isolated until she met a soulmate, Gunvor Hofmo, who was to become a celebrated poet. When Norway became a Nazi conquest in April 1940, Ruth's effort to join the rest of her family in Britain became ever more urgent.Ruth Maier kept a diary from 1934 until she was deported to Auschwitz in 1942 at the age of twenty-two. Although she was only in her teens, she shows a sophisticated understanding of the political forces shaping Europe. Ruth is lyrical, witty and incisive and explores universal themes of isolation, identity, love, friendship, desire and justice. Most of all, she seeks what it means to be a human being. "It sounds like a cliché to maintain that a new Anne Frank has been found. But the newly published diary by Ruth Maier has the same magic strength as Anne Frank's diary" Berlingske Tidende (Denmark)Ruth Maier, geboren 1920 in Wien, emigrierte Anfang 1939 nach Norwegen. 1942 wurde sie nach Auschwitz deportiert und ermordet. Ihre Tagebücher wurden im Nachlass einer Freundin entdeckt.